Famous for her 5incominutos YouTube channel, which has over 11 million subscribers and 826 million views, this Brazilian internet comedian uploaded such wildly popular videos as "Isso Nao e Coisa de Piranha" and "Respondendo o Professor." She posted her first YouTube video, "Vuvuzela," on July 25, 2010. Shortly after rising to online fame, she was invited to host a Brazilian teen television program called Zica. Popular across numerous social media sites, she has over six million Facebook likes, 12 million million Instagram followers, and 1.6 million million Twitter followers. She also had over 750,000 followers on Vine before the app was shut down. Born Kefera Buchmann de Matos Pereira Johnson in Curitiba, Parana, Brazil, she later settled in Sao Paulo. She dated fellow YouTuber Gustavo Stockler. 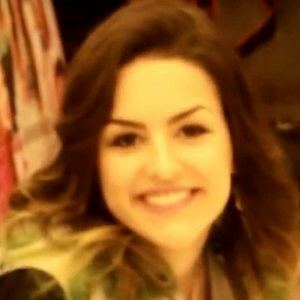 She collaborated with fellow Brazilian YouTuber Felipe Neto on a video titled "5inco Minutos - SUPERANDO SEUS PROBLEMAS #02" in March 2015.